If you have a large area to till or especially hard soil to till, look no further. You can comfortably tackle your job with our mini skid steer tiller attachment. Simply stand behind the unit and work the controls to produce the results you desire. 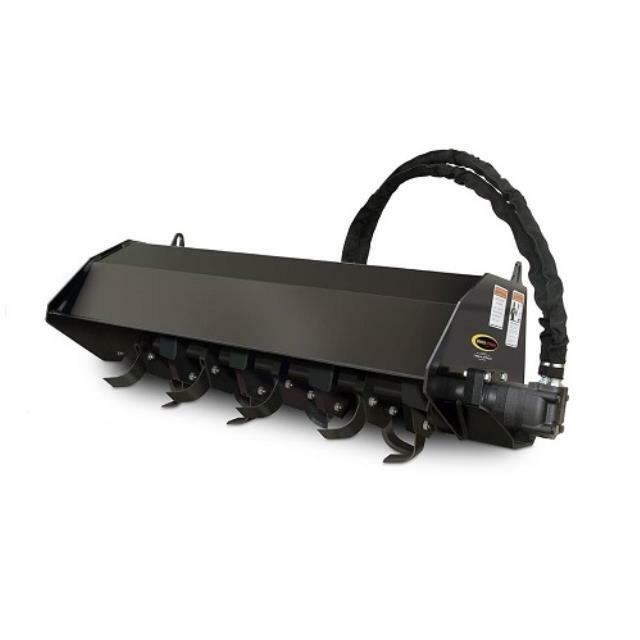 The tiller attachment features 19" tines and tills a wide swath.